Call Credits refer to the number of phone calls each camper may have per session. 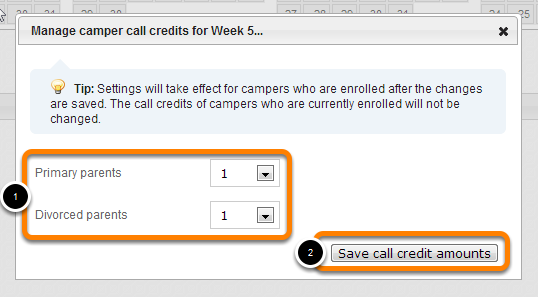 Click "Manage call credits..." to assign a standard number of phone call slots to all campers. Select the number of phone call slots each camper will have with Primary Parents and Divorced Parents during the session.